A raincoat for your handbag? I gotta admit, it is a brilliant idea. A handbag is a woman's best friend... well, to some, at least. It doesn't matter what brand of bag we're carrying. A handbag is a handbag is a handbag. We protect it! But to this extent? I don't know. We can always use a waterproof handbag on days when it's raining, but then again, sometimes those showers can be pretty erratic. 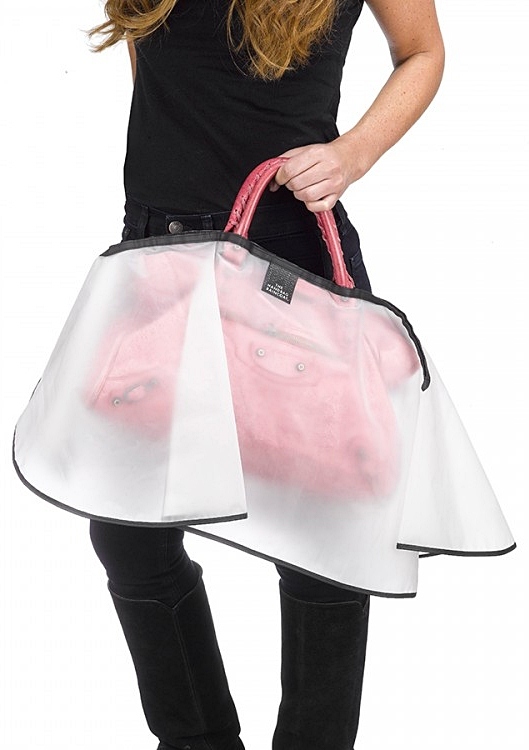 So maybe this handbag raincoat is a need? What do you think?